Dont kid yourself, she might be a puppy but at a high kill shelter, she is just a number. Yesterday, her days were filled with the laughter from the 1 yr old child she lived, following her family around the house, playing with Bully sticks, giving hugs to everyone. But today, she faces death before her life ever really began. Just a little girl with a dream of a happily ever after, is that really too much to ask for? 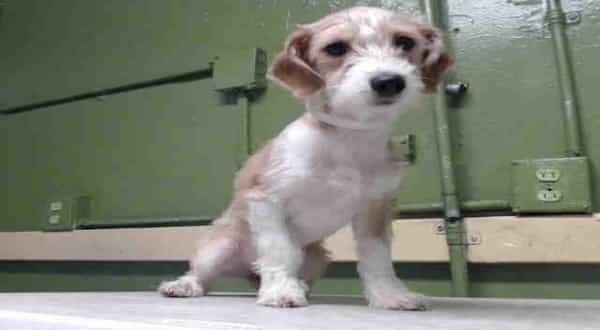 #A5145138 I'm an approximately 5 month old female Terrier. I am not yet spayed. I have been at the Carson Animal Care Center since 1/23. I will be available on 1/23. You can visit me at my temporary home at C209. My former family who owned me for had to give me up because they had too many pets. INTERESTED IN FOSTERING? If you're in LA, OC, San Bernadino or Riverside County and would like to apply to foster a Carson pup, please call directly to complete the foster application. 4 Responses to "excuse me, does anyone know a foster or adopter? t'm not ready to die ..."
Anyway I can get her to NH?